Product Round-up With Android 4 Ice Cream Sandwich upon us, it's a good time to take stock of the impact - or lack of it - of Android 3 Honeycomb and Nvidia's Tegra 2, the chipset and release of Google’s mobile OS that were hoped would knock the iPad of its perch. They've done no such thing. 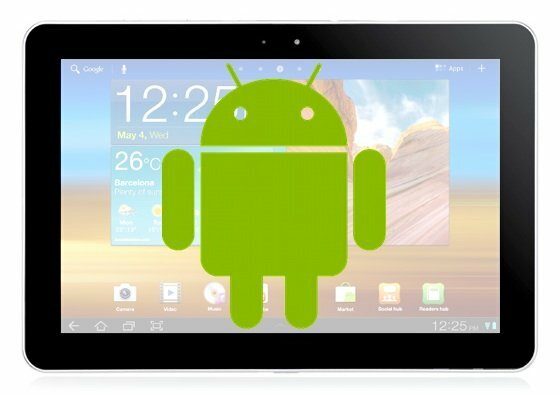 At the most generous counting, Android tablets account for around a quarter of all tablets sold, and the 'iPad' is fast becoming synonymous with 'tablet'. The problems have been many. Honeycomb 3.0 was frankly a bit half-baked at the time of release. Example? No support for Micro SD expansion or USB peripherals. However, versions 3.1 and 3.2 have fixed most of the obvious failings. There's also the issue of market and Market fragmentation. An iPad is an iPad is an iPad. An Android tablet? 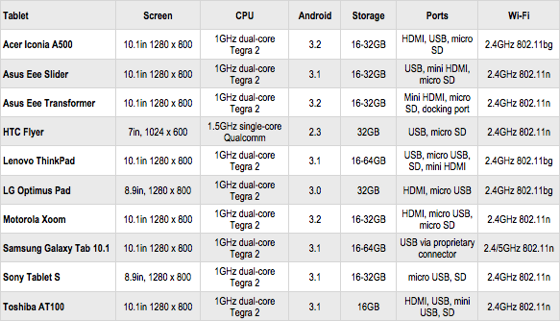 There’s really no such thing, nor will there be until Google decides to launch a Nexus Tablet. Instead, you have a range of devices from the usual Android suspects, including HTC, Samsung and Motorola, as well as machines from computer rather than phone wallahs, like Acer, Asus, Lenovo and Sony. As for apps, most of your smartphone Android apps will work on a Honeycomb tablet but compared to the iPad there is a dearth of applications actually optimised for a larger, higher-resolution and landscape-oriented screen. The end result is confusion in the mind of Joe Public and that's never a good thing when it comes to trying to flog stuff to the great unwashed. With that in mind, let’s take a stroll down Honeycomb lane to check out the devices that would be iPad beaters. Unless otherwise stated, I've looked at models with 16GB of storage and only a Wi-Fi wireless connection.